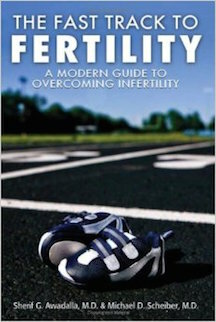 The Fast Track to Fertility: A Modern Guide to Overcoming Infertility by Sherif G. Awadalla, M.D. & Michael D. Scheiber, M.D. by Sherif G. Awadalla, M.D. & Michael D. Scheiber, M.D. The Fast Track to Fertility: A Modern Guide to Overcoming Infertility is a comprehensive, up-to-date & compassionate book that will assist you through your infertility journey. By using this guide, you will receive valuable information about diagnosis and treatment options to medications, advanced treatment procedures and third party reproduction. Other outstanding and unique chapters include: medical financing of fertility treatments, the fertility lifestyle and being emotionally balanced through your journey. This guide has been written in clear, understandable terms. After reading Fast Track, not only will most of your questions be answered, but you'll be prepared to get the most out of your next doctor's appointment. The Fast Track approach stresses accurate diagnosis and timely treatment to achieve the best results!